Everyone’s favorite time of day just got better at Romano’s Macaroni Grill. Macaroni Grill, a national restaurant chain that creates authentic and innovative Italian dishes, is introducing today its new happy hour program at its U.S. locations*. 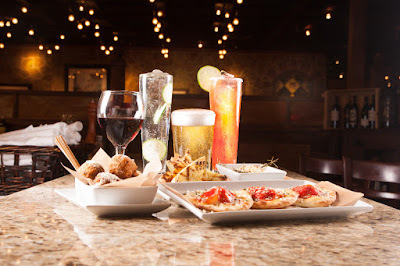 The new, tiered happy hour menu offers guests the opportunity to enjoy 12 appetizers and a wide variety of alcoholic and non-alcoholic beverages for $6 or less every night, in the bar area. Macaroni Grill’s Happy Hour is available in its bar only, from 3pm to close**, seven days a week. For a full line of menu choices, visit www.macaronigrill.com. Romano’s Macaroni Grill is an Italian restaurant brand founded in 1988. Inspired by Italian country cuisine, Macaroni Grill believes in an open kitchen that allows guests to see its ingredients and preparation techniques that blend Italian traditions with progressive culinary inspiration in a polished casual atmosphere. Named the No. 1 Italian Restaurant Chain in America by a Nation's Restaurant News consumer survey, Macaroni Grill has 93 company-owned locations in 25 states, plus 25 franchise locations in the U.S. and 9 other countries. *Happy Hour is not available at Hawaii or airport locations. **Happy Hour times may vary based on location’s local liquor laws.